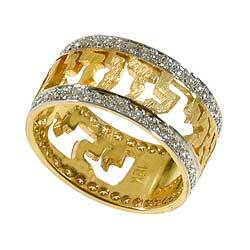 set with 1.00 carat full cut Diamonds . Cut out letters with florentine finish. You choose: ring's size, ring phrase, white/yellow gold or platinum.